Place the apple juice and cucumber in a large jug and stir to combine. Divide the mixture between 2 large (35cm x 27cm) zip-lock bags and seal, squeezing out as much air as possible. Lay the bags flat on a large oven tray and freeze for 3 hours or until frozen. Remove from the freezer and, using a rolling pin, gently crush. Spoon into small glass cups or dishes and top with mint to serve. Serves 4–6. 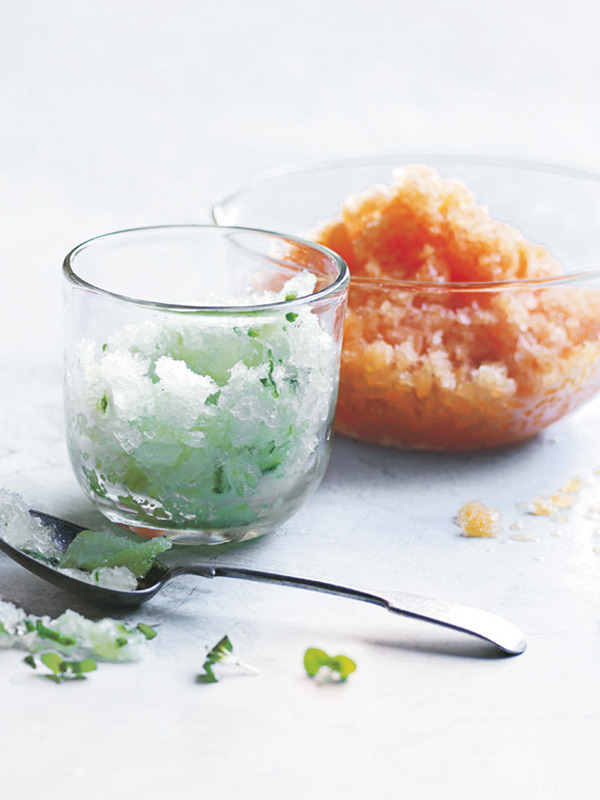 For the ‘pawpaw and lime ice’ recipe, click here.